Southampton have signed 6ft 6in Denmark centre-back Jannik Vestergaard from German side Borussia Monchengladbach. The 25-year-old was in Russia for the World Cup but did not feature as Denmark reached the last 16. 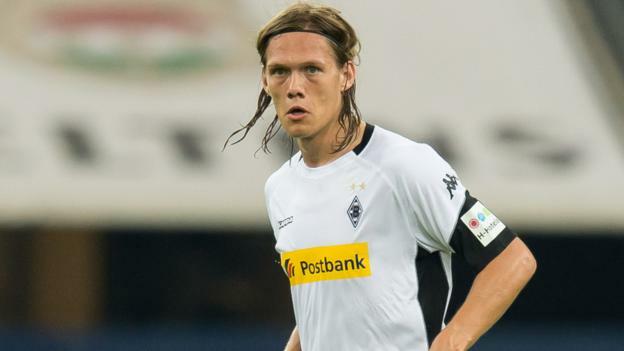 Vestergaard, who has also played for Werder Bremen and 1899 Hoffenheim in the Bundlesiga, has signed a four-year deal at St Mary’s. Saints boss Mark Hughes said the club “had to fight off a lot of competition” to sign the player. He becomes the club’s fourth signing of the summer after the arrivals of attacking midfielder Stuart Armstrong, forward Mohamed Elyounoussi and goalkeeper Angus Gunn. Vestergaard, who spent two seasons at Monchengladbach, played in both the Champions League and Europa League with the club in the 2016-17 season.